While it may feel like an episode of the old Electric Company kids’ show, Srixon is more than just a collection of letters to make a clever name — it is a global company that has truly made and maintained a name for themselves in the golf industry. Way back in 1930 (that’s right, kids… 1930), Dunlop UK started making golf balls in Japan. In 1963, Sumitomo Rubber Industries assumes management of Dunlop UK in Japan. 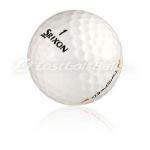 1983 marked the beginning of the manufacturing and supplying of Dunlop Slazenger golf balls to the world. Jump to the year 2000. Srixon launches a specific “Hi-Spin” golf ball to 27 countries and becomes the number one ball and club producer in Japan. They continue to develop clubs — including the XXIO Hot driver, which is voted “World’s Longest Driver” in Golf World Magazine. 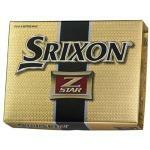 Srixon acquires Jim Furyk and other Tour players to start the Srixon name march through the world of professional golf. Furyk doesn’t do too shabby — advancing to No. 2 ranked player at the end of 2006. In 2009, SRI acquires Cleveland Golf and expands their market share. 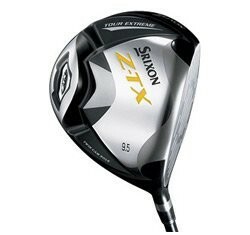 They continue today to market Trispeed and Distance balls in addition to more advanced clubs such as the Z-TX models. How did Srixon become more than just another brand? How did they become such a success story? Innovation and attitude. They have been making golf balls for over 80 years. They pioneered the Balata Ball. They invested heavily in technological advances. They have over seven hundred patents taken out worldwide. By partnering with the well-known wedge giant Cleveland, they increased their capacity and workforce. Finally, they are not afraid of aggressive marketing — at one point, being proud to be seen as somewhat “non-traditional” in the golf advertising world. This ball's cover is thin! "How thin?" you ask. The cover of this ball is thinner than Lindsey Lohan's blood at 5 a.m. It's thinner than Paris Hilton's nightie. This cover is thinner than a French vegetarian exchange student living with Texans. At first glance, there's nothing too flashy about this Srixon Z-TX Fairway Wood, just a classic-looking pear shape with a black and silver clubhead. However, take a closer look and you'll find some really cool technology. These Srixon Soft Feel golf balls are an inexpensive golf ball chock full of technology. One of the wonderful things about the advances in technology in our game of golf is cheap golf balls that go long and have a soft feel. How's your short game these days? Can you get it up and down? Do your pitch shots land soft with spin and stop quickly? A lot of it comes down to practice -- but just like in your long game, you could probably benefit from some of the latest technology.